Vickie McDonough is an award-winning author of twenty-six books and novellas. 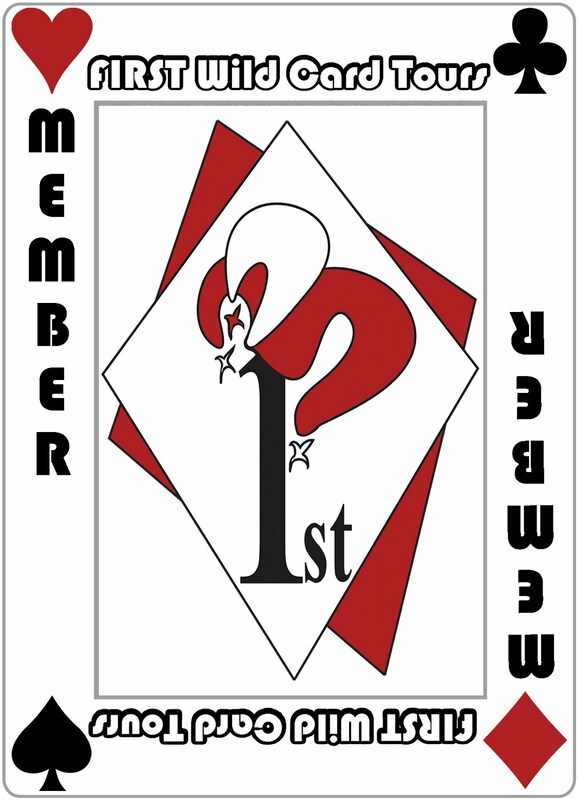 A member of the American Christian Fiction Writers, she served as treasurer of the organization for three years and also was treasurer for her local chapter. Vickie lives with her husband, Robert, in Oklahoma. They have four grown sons and one daughter-in-law, and are grandparents to a precocious seven-year-old girl. When she isn’t writing, Vickie enjoys reading, shopping for antiques, watching movies, and traveling. 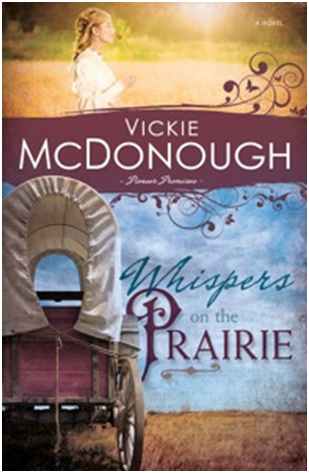 Pioneer Promises Book Two, Call of the Prairie, is set for release in January 2014. The last thing Sarah Marshall wanted was to leave Chicago and travel the dusty Santa Fe Trail, but when her uncle demands she help her feeble aunt, she can’t refuse. Her aunt had taken Sarah in after her parents died. She becomes stranded at the Harper Stage Stop in Kansas, one of the first stops on Santa Fe Trail, and her presence causes a stir. Ethan Harper’s well-ordered life is thrown into turmoil with his two brothers and every unmarried male in the county lining up to woo Miss Sarah whom Ethan views as an uppity city girl. Is it because she’s the wrong woman for his brother—or the right one for himself? The toddler’s whimpers rose to an ear-splitting scream as the little girl pushed against the chest of the woman holding her captive. “Here, let me have her, Abigail.” Sarah Marshall reached for Mary, and her friend handed over the fussy child. The girl persisted in her cries, so Sarah crooned to her, swaying in time to a waltz playing in her mind as she rubbed circles on the toddler’s back. After a few more minutes, the wails finally subsided, and the girl began to relax. She sniffled, her whole body shaking as she finally fell into an exhausted sleep. “Poor little one.” Sarah’s heart nearly broke for the child, recently orphaned by the death of her mother. At least, at such a young age, she stood a chance to adapt more easily than Sarah had when her parents died. Though the accident that claimed their lives had happened over a decade ago, she still missed her father’s big smile and her mother’s comforting arms. Mrs. Rayburn swiped her hand in the air, but Sarah could tell the comment pleased her. If not for the generous care of the well-to-do widow, the six orphaned children who resided under her roof would most likely still be out on the cold Chicago streets, begging for scraps to eat, working for some cruel taskmaster—or worse. Sarah glared at her best friend, wishing she would learn when to hush. She hoisted Mary higher on her chest and carried her to the adjoining bedroom. Stopping beside Mary’s bed, she rocked the girl from side to side to make sure she was asleep. Though she would never admit it to Abigail, the toddler’s wails did grate on her nerves from time to time, especially when she hadn’t slept well the night before. Holding her breath, she lowered Mary into her bed and then pulled the small quilt over her. Sarah kept her hand ready to pat Mary’s back, should she stir. Thankfully, she didn’t. Straightening, Sarah checked on the two napping babies. She then tiptoed across the big room to adjust the blanket covering Ian, the six-month-old whose father had deposited him on Mrs. Rayburn’s doorstep last fall. The poor man had lost his wife and couldn’t care for an infant. Sarah’s heart ached for each one of the youngsters. She knew how hard life could be without parents. Still, she counted herself among the lucky ones—she’d been taken in by family, though she hadn’t lived in a house as fine as Mrs. Rayburn’s mansion. Bending, Sarah filled her apron skirt with rag dolls, balls, and other toys, then deposited them in the toy basket as the mantel clock in the parlor chimed two o’clock. She tiptoed out of the nursery and back into the playroom. Mrs. Rayburn had said the same thing for the past two years, and yet she hadn’t turned Mary away when a neighbor had brought her last week. Still, Sarah couldn’t help wondering if the day would come when the kind woman would feel it necessary to close her door to the orphans. What would happen to them then? She and Abigail donned their cloaks and left the warmth of the cozy home behind as they stepped out into the blustery chill of March. The gusty wind off Lake Michigan whipped at Sarah’s skirts, and the gloomy sky released a light drizzle. Abigail’s driver stepped out from under the shelter of a nearby tree and opened the door of her carriage. “So, you’re not clerking for your uncle this afternoon?” Abigail accepted her driver’s hand and climbed into the buggy. “How did you get out of doing that?” She sat, leaning toward Sarah, her eyebrows lifted. Abigail nodded, grinning. “I wouldn’t miss seeing Walt propose again. I don’t know why you don’t just accept. Your uncle will probably throw you out one of these days, and then where will you be?” She motioned to her driver, who closed the door and scurried up to his seat. Sarah walked quickly toward State Street. She hadn’t missed how Abigail had poked her with her barbed comment about her uncle casting her out. That very possibility had been in the back of her mind. Uncle Harvey had barely tolerated her presence all these years. He’d never wanted children and wasn’t happy when his wife’s only sister died, leaving behind a daughter. It was a miracle the stingy man had agreed to let her live with them in the first place. She blew out a sigh of relief at the sight of the horse-drawn trolley, just a block away. Hurrying to the middle of the street, she waited until it drew near, then grabbed the rail and stepped aboard. The sides of the carriage blocked the wind, to a degree, but the chilly air still seeped inside, bringing with it the aromas of baking bread and roasting meat. The rain picked up, and she was glad she’d decided not to walk home. She stared out the window at the Chicago city streets, teeming with horses and buggies, fancy carriages, freight wagons, and even a man pulling a handcart. Busy people bustled up and down the boardwalks. She loved this town and hoped never to have to leave it. If she married Walt, most likely she wouldn’t. Yet she struggled with the notion of being his wife. He was a good friend, yes, and she’d hate to disappoint him. Still, shouldn’t a woman have stronger feelings than friendship for the man she married? Her uncle would be beside himself if she turned Walt down again. Maybe she should just say yes this time. At least then she’d be assured of having a home of her own—and of freeing herself from the heavy sense of owing her uncle. One would think the hours she’d spent doing chores in his home and clerking at his watch repair shop would be sufficient to cover any debt she owed, but she could never do enough to please Uncle Harvey. Still, she was grateful to have lived in his home these last twelve years. She should be satisfied and not wish for more. And yet she did. She longed to marry a man who made her laugh like her papa had, one whose broad shoulders were strong enough to protect her. But she hadn’t yet met that man. Maybe she never would. Maybe she needed to give up on wishing and just be satisfied with Walt. Sarah sat back and rested her hands in her lap, smiling in satisfaction with the meal. She stole a glance at the sideboard loaded with food she’d helped her aunt and the cook prepare—roast leg of mutton and currant jelly, mashed potatoes, creamed spinach, fried parsnips, and glazed carrots. Just the thought of it all made her stomach ache, and they had not even served dessert yet. Walt wagged a finger at the servant standing at attention. Sarah winced at his commanding tone, then looked to the head of the table. Uncle Harvey was seated next to a stranger—Mr. Gibbons—who’d appeared at the door just before they’d sat down to dinner. The two were having a private discussion, but Sarah had overheard enough to know it was about the benefits of living on the western frontier. She couldn’t imagine what anyone found interesting about the untamed prairie, with its wild Indians and abundance of dust. At the other end of the table, Lizzie Monahan and Betty Phillips engaged her aunt in a lively chat about the latest styles in fashion, while Abigail sat infatuated with Howard Shibley, Walt’s best friend, who babbled on about a recent report that the population of Chicago had reached 300,000. Sarah nearly rolled her eyes. “What was that look for?” Walt dabbed his lips with his napkin. “Obviously.” Sarah shook her head. Why couldn’t Walt have just kept quiet? She liked him well enough, but his frequent proposals were producing the opposite of their intended effect; they made her more inclined to avoid him than marry him. She snuck a glance at Abigail, still trying so hard to get Howard to notice her, while the man, clearly oblivious, just kept spouting his knowledge. Sarah peeked at Walt again. He wasn’t particularly handsome, but he wasn’t ugly, either. He would be a good provider, being the sole heir to his father’s shoe factory, but she had a feeling that life with him would be just as boring as their evenings together. She wanted to marry—to finally be free from her uncle’s overpowering presence and stern glare—but she wanted a man who thought she was the only woman in the world for him. Yes, Walt seemed to feel that way, but something held her back. Was there something wrong with her? An hour later, she stood at the door to see Walt on his way. Everyone else had already gone. Walt hung his head and twisted his hat in his hands. “I…uh, won’t ask you again.” He lifted his gaze to hers, pain evident in his eyes. She’d hurt him, and that was the last thing she’d wanted to do. He stared at her with a serious, no-nonsense expression she’d never seen before. “And then I’ll be forced to look elsewhere. I mean to be married before I turn thirty.” He slapped his hat on his head and stepped out into the blustery evening wind. She watched him jog down the steps with more purpose than usual. He wanted to get away from her, and that was just fine, as far as she was concerned. She shut the door. Some birthday party that had been. The sound of raised voices drew her to the parlor. Her aunt and uncle rarely argued, mainly because Aunt Emma’s chronic illness made her too weary to fuss over trifles. Sarah held her breath, all manner of ideas racing through her mind. She jumped at her uncle’s stern command and was tempted to slither away, but her curiosity forced her to do as bidden. “I was just saying good night to Walt,” she explained as she entered the room. Aunt Emma didn’t look up from the sofa but anxiously wrung her hands. Sarah sat next to her and laid a steadying hand over her aunt’s. Her uncle paced in front of the fireplace, where a cozy blaze heated the front half of the room. Still, a shiver clawed its way down Sarah’s spine. Whatever news she was about to hear, it wouldn’t be good, from the looks of it. Sarah’s thoughts whirled. Again she wondered about her uncle’s interest in such a rugged man as Mr. Gibbons. He hadn’t even worn proper attire for a dinner party. Aunt Emma gave him a meek nod, keeping her head down. Uncle Harvey’s nostrils flared, and Aunt Emma uttered a pitiful moan. Falls ill? Didn’t he realize his wife was nearly always unwell? She’d been sickly ever since she’d survived a bout of scarlet fever a year before Sarah had come to live with them. The sickness had left her frail and had robbed her of her hearing in her right ear. “And what about me?” Could she stay in this big house alone? He’d always expected her to pay her own way, and she could hardly afford a place as nice as this two-story brownstone. Sarah’s heart ached for her aunt. How could Uncle Harvey be so insensitive? Emma screeched a heart-wrenching sob and ran from the room, her dark green silk dress swishing loudly. Sarah dropped back onto the sofa, realizing the truth of his statement. What would she do? Where would she live? How could she manage without her aunt’s loving guidance? The last time she’d felt as empty and confused as she did now was when she’d learned that her parents had died. Quick footsteps sounded outside the room, and Sarah and her uncle both looked to the door. Her aunt had returned, her eyes damp, her face red and splotchy. With a trembling hand, she held a handkerchief below her nose. Sarah longed to embrace her aunt, but she would wait until her uncle left them alone. “What?” Sarah and her uncle exclaimed at once. “I won’t go unless she goes, too.” Emma hiked her chin. Sarah didn’t know what to say. This was the first time she had seen Aunt Emma stand up to her husband, and she couldn’t bear to tell her that her efforts were wasted. But the last thing Sarah cared to do was leave Chicago and travel on a wagon train to Santa Fe. Even marriage to Walt would be preferable to that.